island chain named Las Islas Once Mil Virgenes. c.1615 - Sep 1625 Dutch settle on Tortola. Sep 1625 Spanish destroy Dutch colony on Tortola. Province, also called Carliola); no settlement. not settled until 1645-46, and after 1672). 5 Feb 1646 Spanish destroy English colony on Tortola. [Thurtoloe])(on Anegada and Virgin Gorda to 1680). 1665 English occupation of Tortola under John Wentworth. 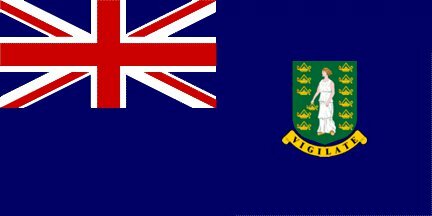 Jun 1672 English colony; part of Antigua. 1672 - 1816 Part of Leeward Islands colony (see Antigua). 1680 English settle Anegada and Virgin Gorda. 14 Apr 1685 Tortola is sacked by Spanish pirates. 1713 British crown colony (Virgin Islands). Peter, Norman, Guana, Ginger and Salt Islands). British Virgin Islands colony (see St. Kitts). 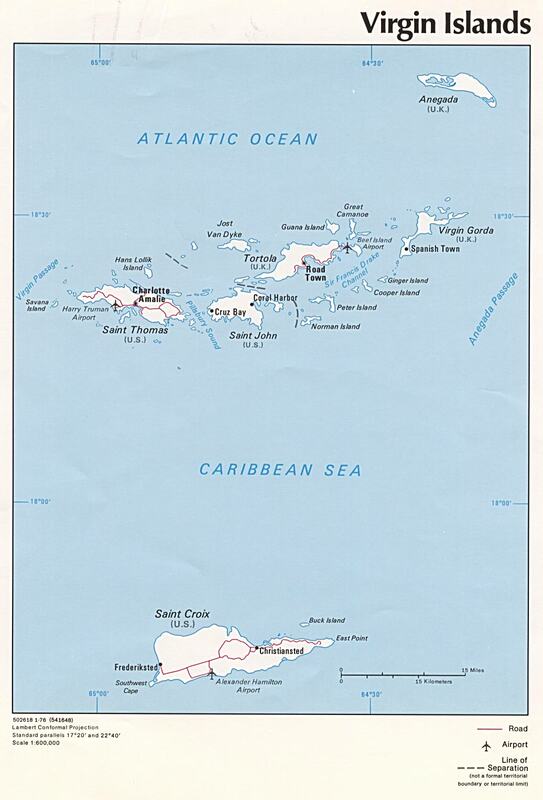 19 Dec 1832 - 1 Jan 1960 Part of Leeward Islands (see Antigua). 1 Jan 1960 Separate colony (British Virgin Islands). 1683? - 1685 Thomas Bisse, Sr.